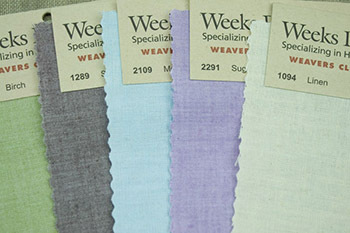 Weeks Dye Works' hand dyed, cotton-polyester blend weavers cloth fabric is colorfast and ideal for needlepunch, crewel and needlefelted projects. 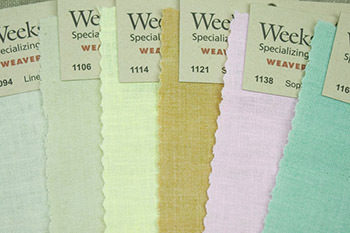 The fabric is dyed in an eco-friendly process, as outlined on our Green Policy page. Special-order colors are also available. Email us for more information. Adobe Reader required for viewing PDF files.